ORLANDO, FL – July 24, 2017 – Aquatic Plants of Florida, Inc., a leading wholesale grower of native plants, trees and grasses, announced it will be attending The Landscape Show in Orlando, FL from September 14-16. The show will be held at the Orange County Convention Center, North Building. 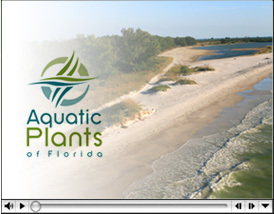 Aquatic Plants of Florida will also exhibit at Booth #1261. Join over 7,000 attendees in Orlando at the Orange County Convention Center’s North Concourse, and attend the Southeast’s premier landscape and horticulture conference and trade event. The Landscape Show features over 200,000 square feet of trees, shrubs, equipment – that’s nearly 5 acres – and more from nearly 450 exhibiting companies in 800+ booth spaces! Join us for all three show days for the pre-registration price of just $20! More info is available online at www.thelandscapeshow.org.